Product #1283 | SKU 1005BAC | 0.0 (no ratings yet) Thanks for your rating! 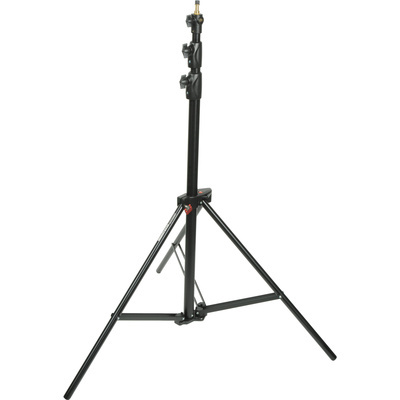 The Manfrotto 1005BAC Ranker Stand is a black anodized air cushioned aluminum stand that rises to a maximum of 2.7 m. This stand is an updated version of the old "Stacker" series. With the patented Quick Stack System (QSS) portability is enhanced. Connecting the stands together saves a lot of room while storing them in the studio or location case. The 1005BAC Ranker features a removable, reversible spigot for added fixture mounting versatility. One end of spigot has 1/4"-20 thread.